When the plot to deny Governor Akinwunmi Ambode of Lagos State a second term by the leadership of the All Progressives Congress (APC) was exposed, everyone who was alleged to have a hand in it denied, mainly because it was not time to make it public. Senator Bola Ahmed Tinubu, the National Leader of the APC and former governor of the state who is widely acknowledged as having a firm grip on the power structure in Lagos and a majority of states in the South-west feigned innocence. Another distant suspect of Ambode’s troubles, Governor Rauf Aregbesola of Osun State said it was a bad joke to have his name linked to the Lagos governor’s travail. The more they refuted the allegation, the stronger it gathered momentum, though, Tinubu, the principal character who was touted to be against, posed for photos, smiling with the governor. It would later become clear that there was a very sharp dagger in his smile. To the uninitiated and the simple minded, Ambode appeared to be doing well, given that many thought his predecessor, Babatunde Fashola had raised the bar of governance and performance too high for anyone to match. However, not a few were surprised when Ambode, after a slow start revved his engine and began to power on with a couple of visible projects. He not only narrowed the gap set by Fashola’s administration, but began to initiate a few signature projects of his own-the most notable being, the Light Up Lagos campaign. With it came improved security and reduction in crime rate. Lagos caught the attention of the world, as it was rated for the first time among the leading cities in the world that was worth living in, even if it was placed at the bottom of the pole. He was also building world class bus terminals, that would revolutionise land transportation. A few strategic roads were being widened, particularly, the road leading from the Murtala Mohammed International Airport. Many thought these were sufficient indicators of capacity to deliver good governance, but the powers that be thought otherwise. Surprisingly, the tide turned against Ambode over night. Those who had earlier given him a thumbs up, suddenly began to find faults with his style. Before it became fashionable to denounce the Lagos State governor, the list of those who had endorsed his re-election included all the 57 local governments and local council development areas (LCDAs) chairmen, all former council Executive Secretaries and Soul Administrators, councilors, all members of APC House of Representatives Caucus, all the three Senators representing Lagos at the upper legislative chamber, among other chieftains and groups both within and outside the party. It was almost given that Ambode was going to be returned unopposed at the Lagos APC gubernatorial primary. About two monts to the primary, no one indicated interest to wrest the ticket from him. What happened in the Lagos APC primary has confirmed again that, indeed, four weeks is a long time in politics. Soon those who had openly identified with the governor’s re-election bid, started to sing another song and drumming support for the preferred candidate of the party leadership, Babajide Sanwo-Olu. It was also publicly reported that about few days to the said primary election, the party leadership had categorically told Ambode to withdraw from the race, an instruction he was not only averse to, but also bluntly rejected after which he opted to contest the election. Many have since said Ambode’s decision a bad political miscalculation. They reason that if the 57 LCDA chairmen, majority members of the state assembly and federal legislators had signed that he should stand down, it would have been more honourable to take the hint and take a bow, instead of going into the gubernatorial primary. By their decision , these opinion moulders and influential politicians in Lagos had rendered Ambode a lame duck. His broadcast on the eve of the Lagos APC primary sounded like a valedictory. While thanking thanking and the people of Lagos for the privilege to serve, he stopped short of bidding them farewell. Based on the agreement that the election would be through direct primaries where all members would elect their preferred candidate as against the delegate system, the governor had raised issues about the moves by the party to disenfranchise the vast majority of members of the party without membership card but with slip and other means of identification. The Electoral Panel constituted by the National Working Committee (NWC) of APC to conduct the election led by Mr Clement Ebri had swiftly responded by announcing that all members with slip and other means of identification would be allowed to vote. Though the election was shifted twice, there were reports of members of the party who wanted to vote for Ambode being denied their right of doing so by touts and political hawks allegedly on the orders of the powers that be. While the election was ongoing and sensing that the guidelines were not being followed, the NWC panel addressed a press briefing to disown the election, saying materials and other logistics were yet to be perfected and distributed across the State, but their decision was soon overruled by the APC National Chairman, Comrade Adams Oshiomhole who made announcement from Abuja declaring that election held in Lagos. The following day, the Ebri-led panel announced the result of the same election it had earlier disowned, giving victory to Sanwo-Olu in the process. However, in a move totally depicting his readiness to accept whatever might have happened and to move on, Ambode made a state-wide address where he congratulated Sanwo-Olu for emerging victorious at the polls, saying it was time for the state to move forward in order to consolidate on the gains of the last three and half years. But could he have done otherwise? The broadcast halted rumours that he planned to move to another party. 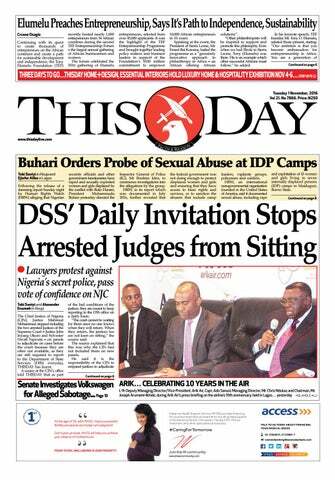 Of course, he would have been removed by the state house of assembly the next day, if he made such a move! 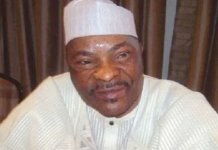 He said though events leading to the election were characterized with intense political activities which created palpable tension in the polity, but that the interest of the State superseded that of any personal ambition, and therefore urged APC members and indeed all Lagosians to support the candidate of the party. “Dear Lagosians, APC is a great party and the interests of our beloved State must always supersede that of any person or group. It is in this regard that I wholeheartedly congratulate the winner of the Lagos State APC Primaries, Mr. Babajide Sanwo-Olu and urge all Lagosians to immediately support our party’s gubernatorial candidate in the 2019 elections and work for the success of our dear party,” Ambode said. 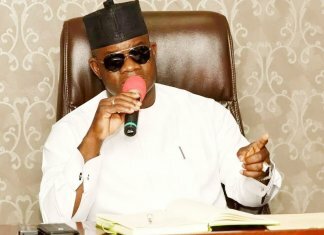 While assuring that he would work to ensure a smooth transition in 2019, the governor said the progress of the State was non-negotiable, saying he would remain forever devoted to the development of the State as he had exemplified since assumption of office. “The progress of Lagos State is non-negotiable. It is a project that I have passionately worked for in the last three and half years as your Governor and one to which I will forever be devoted,” he said. Soon after that, at the first State Executive Council Meeting after the primaries, Governor Ambode devoted quality time to preach a message of forgiveness and unity. It was reported that the Governor specifically asked all the council members to work in support of Sanwo-Olu, and also focus on more on governance and issues of public concern rather than engaging in another round of political conflict that can undermine governance and public administration. In addressing both political and governance issues neglected during the intense political maneuverings, the Governor immediatey set in motion a task force to rehabilitate failed roads across the state, which had been a major source of worry for residents. 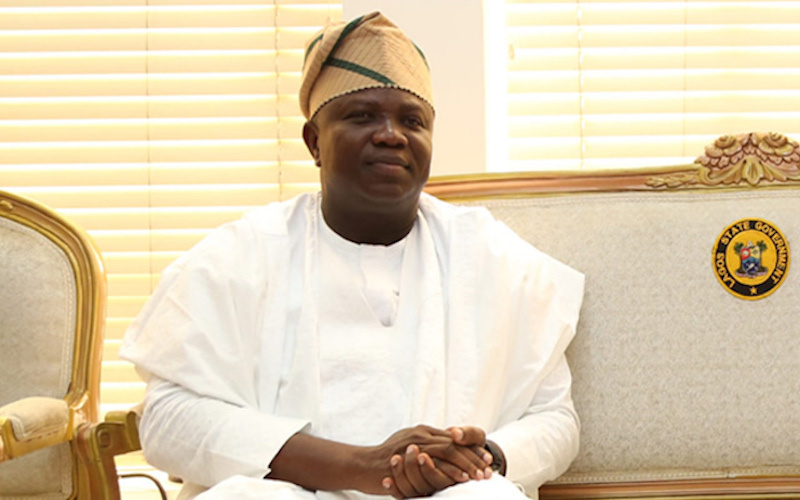 Also, in an effort to back his words of uniting with those who worked against him at the primaries with concrete action, the Governor met with members of the Lagos State House of Assembly where he preached the same message of forgiveness and unity, while he followed it up with the collapse of the Ambode Mandate Support Group (AMSG) into the Sanwo-Olu Campaign Council. Specifically, the governor according to sources, appointed a five-man contact team under the leadership of the Coordinator of AMSG, Hakeem Sulaimon, to hold a meeting with the Director-General of the Sanwo-Olu Campaign Council, Mr. Tayo Ayinde, on how to work together now that the primaries had been concluded, while in addition to that, the Governor also directed his supporters across the 20 local government areas and 37 LCDAs to begin grassroots campaign for the APC governorship candidate. Immediately after the primaries, according to a source, Ambode sent message to all his supporters and support groups to ensure that the Peoples Democratic Party (PDP) did not win the state, for the sake of continuity and also work for President Muhammadu Buhari’s victory. 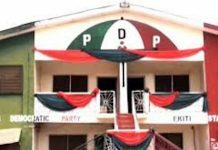 According to a source who is close to the seat of power, the Governor had made it clear that he was going to do everything to win the state for the APC, including giving financial support to Sanwo-Olu and even campaigning for him, while he had consistently praised National Leader of APC, Asiwaju Bola Tinubu, the man who is believed to have masterminded his defeat at the poll. “He (Ambode) harbours no ill feelings towards anybody, as a matter of fact, he has repeatedly thanked the National Leader for choosing him from millions of able and capable people, eligible to be the governor in 2015,” the source said. 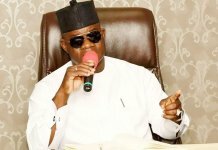 To further demonstrate that he is consistent, the Governor again on Tuesday, vowed to lead a strong campaign to ensure victory for President Buhari and Sanwo-Olu in the 2019 general elections. Speaking to journalists at the Presidential Wing of the Muritala Mohammed International Airport shortly after he accompanied President Buhari to perform the official commissioning of the new Economic Community of West African States (ECOWAS) Border Posts at Seme-Krake joint border post in Badagry, Ambode said it was important for the APC to retain its leadership positions both in the federal and the State level. Clearly, Governor Ambode’s posture and statement have created an atmosphere of unity within the ranks and file of APC members across the state that would go a long way to galvanise all interests within the party.